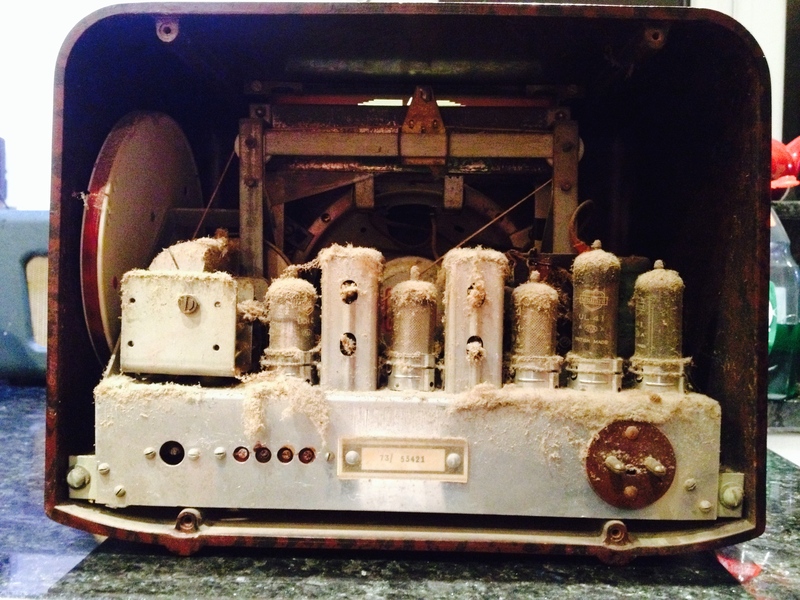 I bought an old Bush DAC90A vintage 1950′s radio off eBay recently as a side project, the aim was to restore it to working condition again, a distraction from the staring at the screen coding all day. 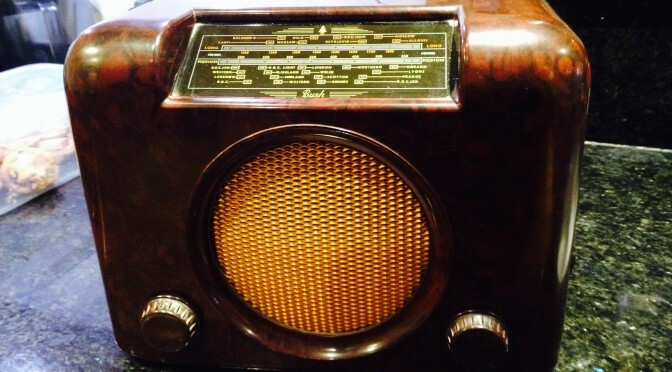 I was taken by it due to it’s classic bakelite design with a slight nod to art deco. On arrival I was very pleased to see the case was undamaged and all seemed to be present and correct. The radio was stated as untested on eBay so I was not too surprised when it didn’t work, the lights came on but that was about it. In fact I was pleased it didn’t work as it would mean I could get my hands dirty. On closer inspection the whole of the insides were covered in dust and accumulated crap most of which came away with with a clean paint brush. All I had to do now was get it going. I initially thought that it was producing no sound at all but that was untrue, if you listened very carefully you could just faintly hear some sound coming out the speaker, very odd. The internet produced a schematic, in fact I got a whole trade manual with lots of useful information on valve pin numbers, resistor wattage and capacitor rating; very helpful. 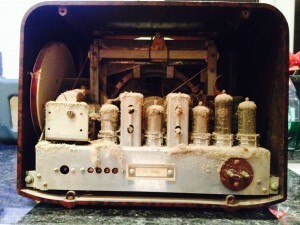 As this was quite an old radio is would be wise to initially swap out all the old wax capacitors. eBay once again came up trumps as I found a kit especially for this radio that contained all the caps required, some new rubber runners for the dial glass and two spare bulbs. After swapping out the caps the radio was still dead. I found that there was no voltage into the output transformer, it eventually turned out not to be the output valve but the transformer itself at fault, the primary was open circuit. I’ve since discovered that one of those pesky capacitors has a habit of leaking and knocking out the output transformer and is a common fault. I found a replacement from a restorer on line and once fitted she finally came to life once more. There was a cracking hum on the output so I changed the main smoothing caps and she was soon running sweetly again. The bakelite case was next. Though in good condition it was quite dull and I’d seen some lovely shiny ones online. An application of T-Cut got the grime off and several coats of bees wax got it looking quite respectable. Now as you can tell there was quite bit of effort that went in to getting this old radio back online and to be honest some expense. I could have laid my hands on one that was already working for less than my combined costs, but I would be poorer for the experience and would have less pride in it sitting on the side sounding and looking awesome.